Come and enjoy cake, tea, coffee, hot chocolate, milkshakes, and chat in a relaxed environment. 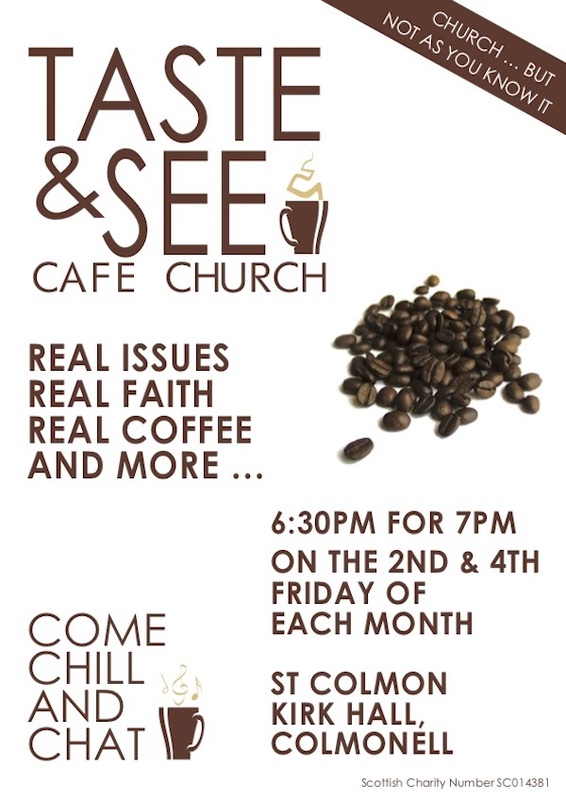 Set like a cafe, we sit round tables and discuss the theme for the night as well as enjoy music from our worship band. Those with or without faith are welcome, and all views can be expressed in an open environment. For more information please contact Claire Pirrie on 01465 841644.